Awarded the Medal of the Order of Australia for ‘services to music as an operatic singer and teacher of voice and as a contributor to research into human sound production and vocal health’, Janice Chapman has a background as an opera and concert singer, and is a member of the vocal faculties at the Royal Academy of Music and the Guildhall School of Music and Drama in London. She also maintains a busy private practice serving many international clients, and has been a pioneer in the multidisciplinary approach to voice in the U.K.
She is recognised the world over as one of the leading teachers of singing. Her own career as a singer spanned over 35 years, with engagements as a principal soprano in all the major UK opera companies, including the Royal Opera Covent Garden and English National Opera, and in many European countries. In 1975 she combined her singing career with teaching when she was invited to join the faculty at the London College of Music where she worked for eight years before leaving to concentrate on her private practice. She became a member of the founding committee of the Voice Research Society (now the British Voice Association) and has served as its Chair and as a committee member for many years. Many of her singing clients are internationally recognized opera and concert artists and she also works in close collaboration with Laryngologists and ENT Surgeons in the rehabilitation of damaged voices. She visits Australia regularly, where she has collaborated on research at the National Voice Centre, University of Sydney. Her consultancy and workshop clients include the London Symphony Chorus, Royal Shakespeare Company, BBC Symphony Chorus, British Federation of Young Choirs, Friends of Covent Garden, British Voice Association, Association of British Choral Directors, and Opera Australia. In 2010, she was elected a Fellow of the Guildhall School, London. 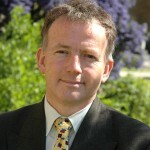 David Henson is Director of London College of Music at University of West London. Well known in the field of arts education, he holds first degrees in Music, English and Education and has worked professionally as musician, actor, singer, director, and musical director collaborating with many composers on new musicals. Combining a varied career in performance, teaching and writing, he continues to take an interest in the performer’s platform. Alongside his writing output his recent doctoral research considers the importance and value of dialogic interaction within the performance studio. He believes that critical thinking is an essential part of the creative process encouraging students to think, evaluate and improve upon their individual and creative ideas. This impacts upon much of his work regarding the interpretation of song. This together with other aspects of his thinking is identified in recent publications and his two workbooks are currently being translated and published in Korea and China. Find out more at David Henson’s own website. Anne-Marie has been working as a voice teacher to actors and singing teacher for 20 years. Her varied and extensive practice includes working with classical actors, international film stars, artists in national theatre companies, leads in West End musicals, actors in film and television and platinum selling pop artists. She is also one of the most experienced teachers and trainers of the Estill Model in the world and was trained by and interned for Jo Estill many times. She was the first UK teacher to be asked by Jo Estill to intern for her in Denmark in 1994 and continued her close association with Jo Estill from that time. She has pioneered the use of the Estill Model in the teaching of actors, and specialises in the integration of speaking with singing, especially musical theatre. She regularly runs popular workshops in Voice, Performance and the Estill Model and is much in demand to give workshops on the Estill Model, performance and related vocal subjects internationally. She has also been Professor of Voice on the Musical Theatre course at the Royal Academy of Music since the course started in 1994 and was President of the British Voice Association from 2001 to 2002. During this time, she has also established herself as one of the UK’s leading accent coaches, working on major films, TV shows and West End productions. As a theatre director, her work includes drama and musicals and she was the first director to direct a new production of the West End hit ‘Stones in his Pockets’ for a tour of the Gulf in 2004. This was followed in 2005 with a production of ‘Art’ by Yasmina Reza and ‘Into the Woods’ by Stephen Sondheim for the Royal Academy of Music. In 2008 she directed Sondheim’s ‘Company’, and in 2010 ‘A Little Night Music’ also for the Royal Academy of Music. Since 2009 she has also worked as a vocal consultant for Sony Records and SyCo and recently Universal. In 2011, she was asked to be the vocal coach on Britain’s Got Talent and X Factor and also worked on BGT in 2012. Ed is a Masters-trained physiotherapist having studied both in Australia and the UK. He is Director and Head Clinician at Physio Ed Medical in Harley Street, London, a clinic that specialises in performance medicine, specifically movement and voice-related muscle problems. Patients from a variety of vocal backgrounds attend for laryngeal manual therapy to resolve presenting muscle tension problems. Ed’s work has been published in multiple journals and textbooks and regularly used as a lecture topic at various conferences and workshops.